Conway MacLean Day (Connie), a lover of the arts and travel, passed away Dec 20, 2018 in Santa Barbara, California. A long-time resident of Montecito, her style, whit and humor will be deeply missed by all. She was 85. Conway Day, 85, passed away on Dec. 20. A memorial will be held Feb. 11. Connie was born Feb. 1, 1933 in Baltimore, the daughter of Dr. Angus Lloyd MacLean and Eleanore Ihmson Hodges. She attended the Bryn Mawr School in Baltimore and graduated from Wheaten College. On Sept. 22, 1956 Connie married Lee Garnett (Peter) Day Jr., with whom she raised two sons, Lee and Mason, living first in Darien and then New Canaan. In New Canaan she was active in community affairs, serving as the first female trustee of the New Canaan Country School as well as a leader of the New Canaan Land Trust. An avid art collector, she built a personal collection of South American and Modern art and served on the board of the Rhode Island School of Design Museum, supporting the Nancy Sayles Day Collection of South American Art, which was established by her late husband Peter in honor of his mother. After Peter Day passed away in 1967, Connie married Arnoldo LaCagnina, originally from Rome. In 1974 she moved to Italy, living outside Florence for many years where she and Arnoldo established Castello di Gabbiano as a thriving Tuscan winery operation and renovated the namesake medieval castle. 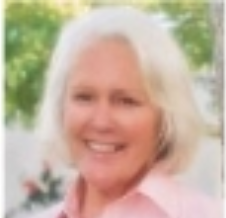 Connie moved to Montecito, California in the late ’90s to enjoy the Mediterranean climate and warm social atmosphere. Her final years were spent at Casa Dorinda. Conway is survived by siblings Angus MacLean, Katherine Bovey, and John MacLean; as well as her sons: Lee and Mason; and her grandchildren: Samson, Sayles, Campbell, Nye and Hodges. A memorial will be held at 3 p.m. Feb. 11 at Casa Dorinda in Montecito. She will be interred in Cornwall, Connecticut. Mary E. Skelton, a resident of Venice, Florida and a former long-time Darien resident, passed away on Dec. 1, 2018 in Florida.